It looks like Marvel wanted to test the waters before stating the obvious, but Iron Man 2 will be hitting theaters April 30, 2010. HOW CAN WE POSSIBLY WAIT TWO YEARS, you ask? Simple. Just remember what happened to The Matrix. For those not just interested in the tech-based superheroes, Marvel also announced dates for Thor, The Avengers and a Captain America standalone. Hit the jump for the full press release. Marvel today updated its feature film slate strategy and plans for the next three years, locking in key release windows for its character franchises. In order to focus its attention on maximizing the success of an Iron Man sequel and the launch of Thor in the summer of 2010 and because Marvel believes that the summer is the optimal time to launch a new property, the Company will not release a self produced film in 2009. 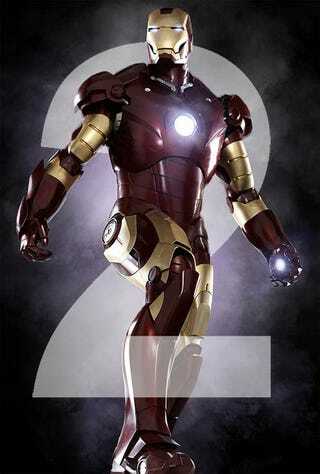 Marvel plans to launch its 2010 film slate with the release of the sequel, Iron Man 2, on April 30, 2010, followed by the launch of Thor on June 4, 2010. Additionally, Marvel is planting its feature film stakes for summer 2011 with an Avengers-themed summer - a two-picture project which will debut on May 6, 2011 with The First Avenger: Captain America (working title), followed by The Avengers in July 2011. Marvel's Chairman, Morton Handel, commented, "Adjusting for the strong year-ago contribution from the Spider-Man JV, Marvel's Q1 2008 operating results continued to demonstrate strong global demand for consumer products based on the Company's portfolio of characters. Marvel's self-produced feature film slate launched this past weekend with a performance that firmly establishes Iron Man as a major new film franchise, and the Company eagerly awaits the June premiere of The Incredible Hulk, Marvel's second self-produced film. In addition, Marvel has been investing in other important areas of growth such as the Internet where, to lead the Company's newly formed Global Digital Media Group, Marvel recently announced the hiring of Ira Rubenstein. Marvel has a strong foundation to build from, and the Company is adding infrastructure to maximize these opportunities."